2019 Season Ticket Deposits for new Las Vegas Ballpark available now! 51s announce deposits for 2019 season tickets at the new Las Vegas Ballpark will begin on Monday, July 9 at 10 a.m.! 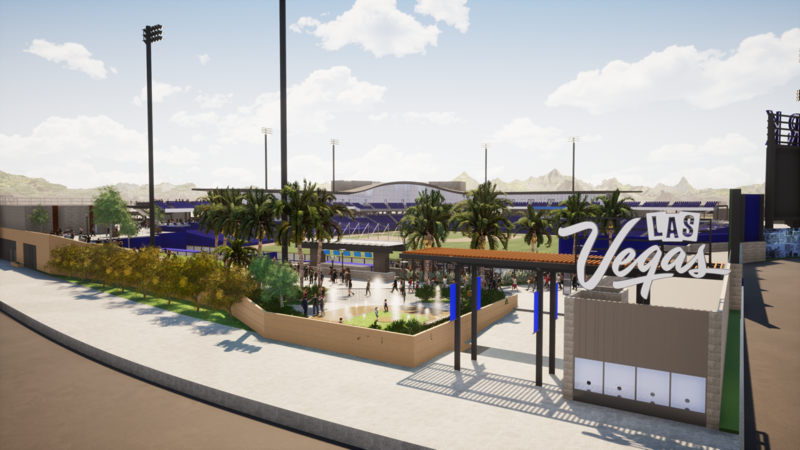 LAS VEGAS: The Las Vegas 51s professional baseball team of the Pacific Coast League (PCL), Triple-A affiliate of the New York Mets, announced today that deposits for 2019 season tickets at the new Las Vegas Ballpark will begin on Monday, July 9 at 10 a.m. Fans can reserve their spot in the Las Vegas Ballpark by placing a season ticket deposit for just $100 per seat; $100 per seat for club seat and $100 for a group event. LAS VEGAS BALLPARK: The Las Vegas Ballpark is designed by HOK, a global architecture firm with an expertise in stadium design, having designed more than 40 professional and collegiate stadiums worldwide. The 10,000-fan-capacity stadium blends the distinct design style of Summerlin® and Downtown Summerlin® with the legacy of The Howard Hughes Corporation® (NYSE: HHC). The ballpark will provide a wide range of seating options including 22 suites, club seats, berm seating, party zones and decks, picnic tables, kids' zone, bars and a pool beyond the outfield wall.